As we know, Seagate LM ROSEWOOD case is very difficult to repair without any backup. Attention: Here we strongly suggest that engineer needs to try the best to backup original system file 1B 28 35 first before you deal with rosewood case. By this preparation we can avoid many other issues. In addition, we advise that engineer should compare both copy 0 and copy 1 of system file 28 and 35.And save both of them when they are different. In MRT 2.1.3.0 version we added a completely new feature for LM Rosewood case without any backup. Before we use the new feature, we should have a basic understanding of head and drive condition. The new feature uses the in-RAM-to-repair method to deal with this issue.So it requires that head can work properly and drive performs stably so that drive won’t encounter frequent power reset issue. 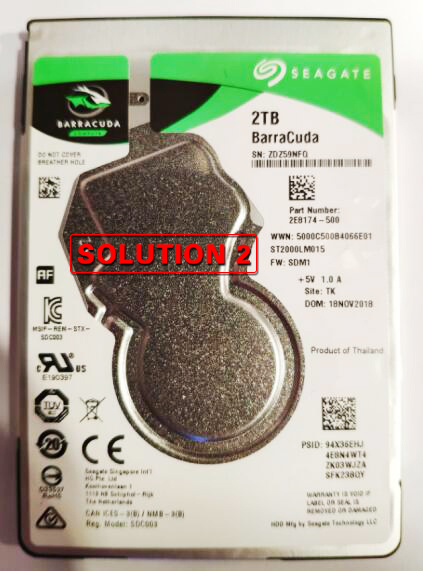 This solution is designed for the circumstance that HDD is working under an unstable condition at that time wherein backup of system file is impossible or the original data of system file 28 is invalid or original system file has been irretrievable due to track damage.And after that engineer directly recalculated translator resulting in sector access interruption. Attention：There are 3 types of sector access interruption for Rosewood known at present.The color block of logical scan includes 3 types: pink block(without UNC register light),red block(with UNC register light) and brown block(with UNC register light).Among them only sector access interruption caused by RED BLOCK for Rosewood can be dealt with by this feature.The other 2 types can only be repaired with original backup.The specific method will be demonstrated in the tutorial.